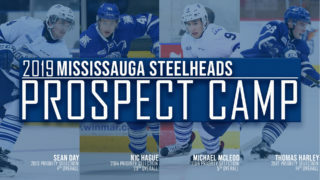 Mississauga, ON – The Mississauga Steelheads selected 14 players in the 2019 OHL Priority Selection including first rounder Ethan Del Mastro of the Toronto Marlboros. Del Mastro, a 6’1” left-shot defenceman put up eight goals and 36 assists in 73 games in his minor midget season in the GTHL. The Toronto, ON native drew parallels between Del Mastro and current Steelheads defenceman Thomas Harley. 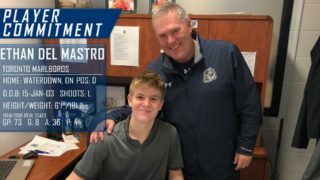 “Ethan Del Mastro is a big left shot D-Man that likes to play physical… a smooth skater, moves the puck well and plays with a competitive edge” said HC/GM James Richmond of his first round selection. The Steelheads next picks would come in the third round at #51, 60 and 61. At 51st overall, the Steelheads selected Luca Del Bel Belluz of the Toronto Red Wings. The Woodbridge, ON native tallied 32 points in 30 games in the 2018-19 season. 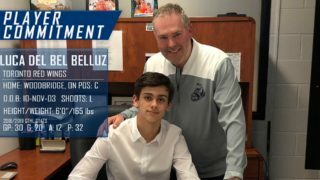 “It was always a dream of mine to get drafted to the OHL and I couldn’t be happier to get picked by the Mississauga Steelheads” said Del Bel Belluz of his selection to the Steelheads. The Steelheads then used back to back picks on Chas Sharpe of the North Central Predators and Joshua Reid of the Pembroke Lumber Kings. Sharpe is a right shot defenceman from Orillia, ON who stands at 6’2”. “Chas brings a physicality, he moves the puck well, he reads the game well….he can protect that right side for us” said James Richmond of the 60th overall pick. Joshua Reid is right-shot centreman who recorded 45 points in 42 games playing up an age group with the Pembroke Lumber Kings. The Petawawa, ON native stands at 5’8” and 146 pounds. “Smaller in stature, but he plays more like Brad Marchand, over a point a game, plays with a bit of an edge” said James Richmond of his final selection in the 3rd round. The Steelheads next pick in the 6th round at 114th overall, was used on Adam O’Marra, a Mississauga native who played his minor midget hockey with the Oakville Rangers of the OMHA. In 32 games, O’ Marra recorded 20 goals and 23 assists. 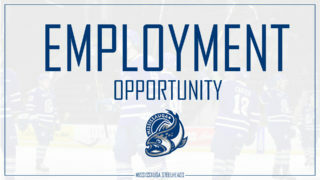 Being selected by the Steelheads meant just a little bit more to Adam, as the O’Marra family are longtime supporters of the team having been with the Steelheads since their inception and season ticket holders. 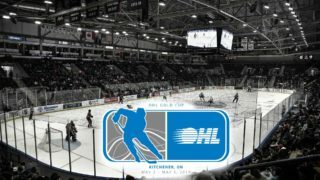 With two more selections in the 7th round, the Steelheads added another physical presence defenceman Drew Jeffers and goaltender Justin Dilauro from the Whitby Wildcats. Jeffers, a Michigan Native played with Compuware’s U16 stands at 6’4” and 205 lbs. Dilauro played in three games at the OHL Cup posting a 2.95 GAA. Riley Rosenthal, a 6’2” defenceman and native of Boca Raton, FL who played with the South Florida Hockey Academy U16 scored 54 points in 50 games was selected in the 9th round at 174th overall by the Steelheads. Callum Chisholm, selected 194th overall is a 6’3 left winger who played his minor midget season with the Richmond Hill Coyotes. The big winger scored 18 goals and nine assists in 32 games in the 2018-19 season. Tye Scott, selected in the 11th round, was the 2nd Mississauga native to be selected by the Steelheads. 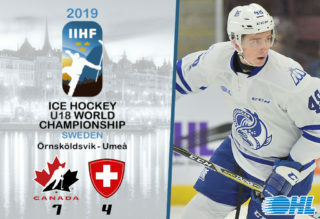 A 6-foot defenceman, Scott scored one goal in six games with the Mississauga Rebels at the 2019 OHL Cup. Ikki Kogawa, selected in the 12th round – 234th overall, started his hockey career in Chiba, Japan but suited up with the Toronto Nationals of the GTHL scoring 11 goals and 11 assists in the 2018-19 season. Sean Mateer, a 5’8’ centreman from the Markham Waxers was taken at 254th overall in the 13th round. In 27 games with the Waxers, Mateer tallied 19 points. Connor Driscoll, a Kleinburg, ON native was selected in the 14th round, 274th overall. As a member of the Toronto Nationals in the GTHL, the right-winger scored 10 goals in the 2018-19 season. 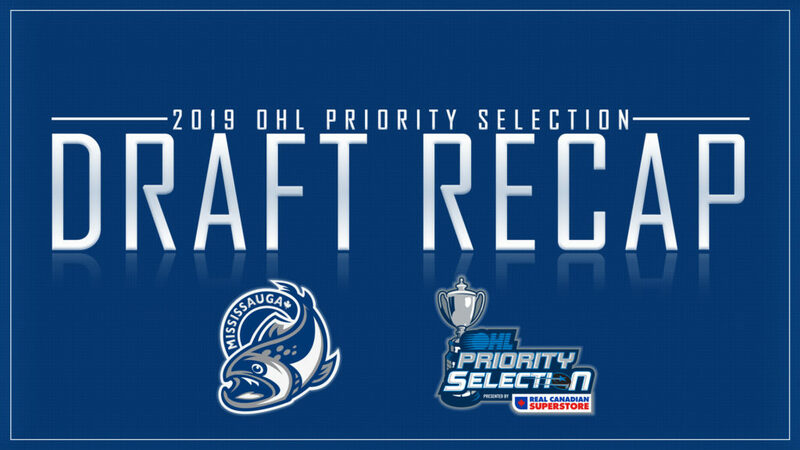 With their final selection of the 2019 OHL Priority Selection, the Mississauga Steelheads selected Wade Bolton of the Central Ontario Wolves. In 34 games, in the 2018-19 season, the left shot defenceman recorded three assists. Stay tuned throughout the week to our social media channels and website for more content regarding the Steelheads’ 2018-19 selections!